The University of Southampton is working with Chinese high-speed train manufacturer, CRRC Qingdao Sifang (CRRC Sifang), to establish a multi-university ‘China-UK Rail Transit Technology Joint Research and Development Centre’ which will undertake research to develop new technologies, materials and manufacturing processes for high-speed trains and metros. 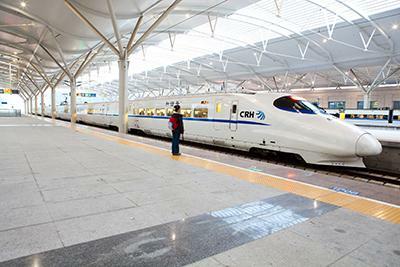 As part of this new Centre, a team of experts from the University’s ISVR Consulting is collaborating with CRRC Sifang on computational and field research into reducing noise for passengers on the organisation’s latest ultra-high-speed trains. High-speed rail is an essential part of the Chinese economy, which relies on moving vast numbers of people back and forth across the country. Its current high-speed trains run up to 350kmph, but the next train in development is predicted to run at over 400km per hour, saving hours in time on very long-distance journeys. 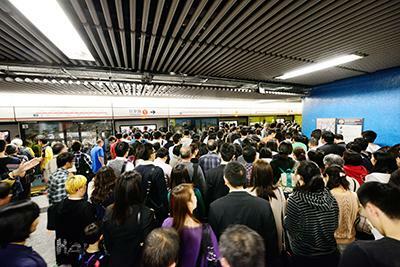 However, the faster the speed of the train, the noisier the experience for the passenger. Active noise control works by predicting noise sources and producing an inverse noise to cancel it out, creating a ‘zone of silence’. The technology has been used in luxury cars for some time, and is popular because it can cut vehicle weight by reducing the requirement for heavy sound-limiting materials. 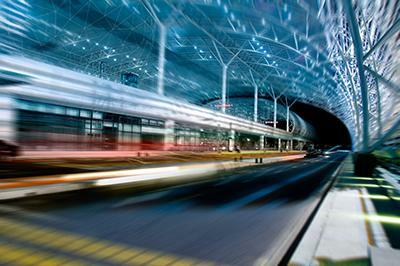 However, active noise control works best for low frequency noise – such as tonal noises at low speeds – rather than the high-frequency noises on a high-speed train, where just one carriage would require a multitude of computer equipment for the technology to be effective. Southampton is one of very few universities with research expertise in active noise control. Our project research team comprises experts in rail engineering, Simon Roberts and Gergly Orosz, and researchers from the world-renowned Institute of Sound and Vibration Research (ISVR). Where active noise control has previously been limited by the expense of microprocessors, microphones and other computing equipment, the cost of these parts is reducing, and the methods developed by Southampton are becoming a more attractive proposition. The ISVR Consulting team aims to improve the experience for passengers on high-speed trains by minimising noise where each passenger’s head is positioned. Using control systems that can cope with different sound fields the team are developing computer algorithms which can adapt the inverse noise in real-time, making it responsive to rapid noise changes, such as a train travelling through a tunnel or pulling into a station. Due to a train’s complex sound field, multi reference points were needed for the team’s algorithm to be effective. The team took these measurements in situ before simulating controller behaviour and tuning the algorithm to an efficient enough level to run quickly on a relatively inexpensive processor. The Southampton team have already been able to develop a prototype that works in test trains. Now their technology is proven, the next step is to work closely with CRRC Sifang to efficiently install the equipment in a production train.